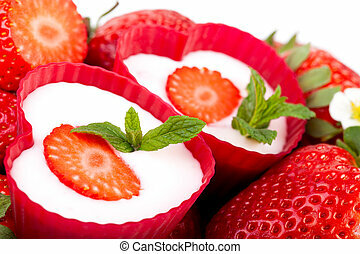 Dairy dessert - yogurt strawberries. 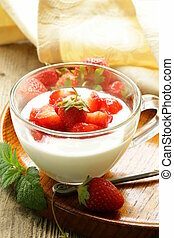 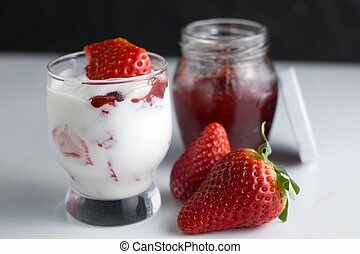 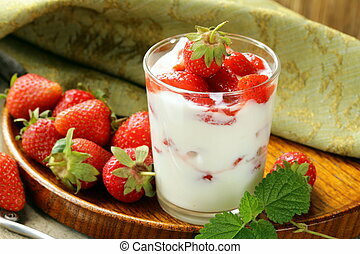 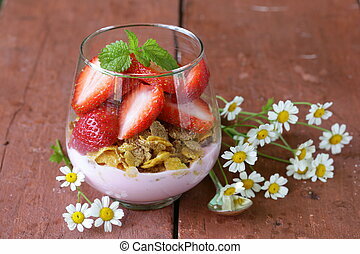 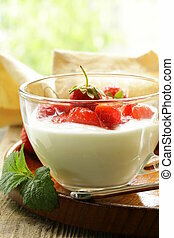 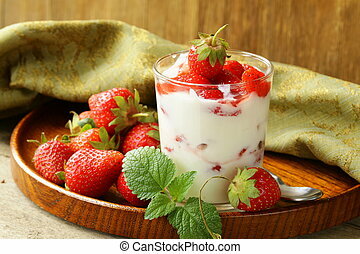 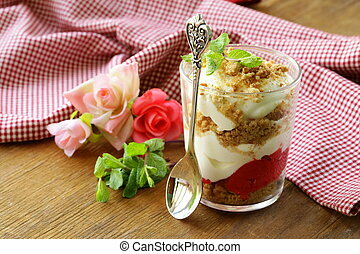 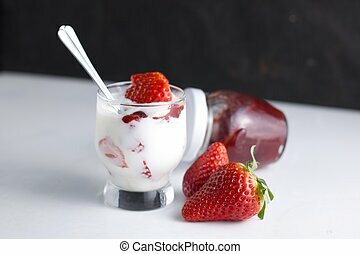 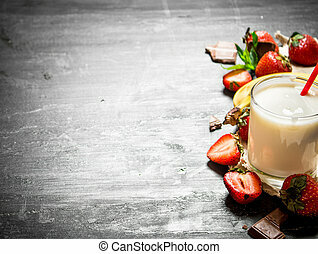 Dairy dessert - yogurt with fresh strawberries in a glass. 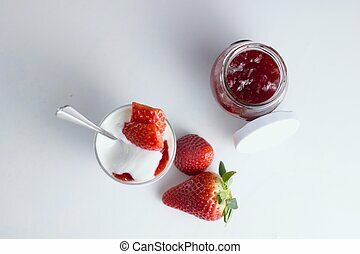 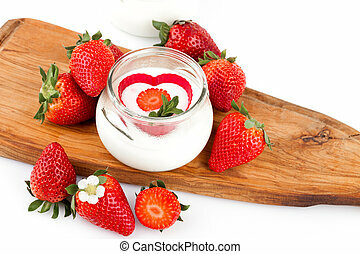 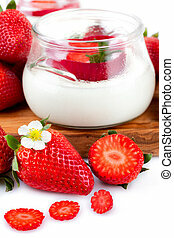 Jar with yogurt decorated with fresh strawberries. 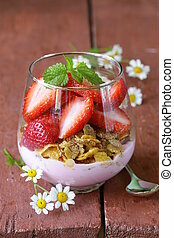 Closeup of heart bowls with yogurt decorated with strawberries. 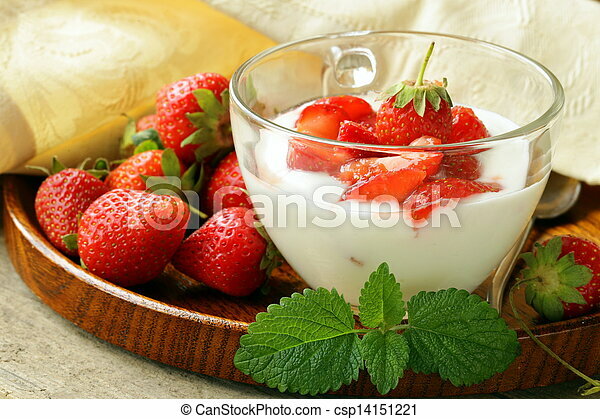 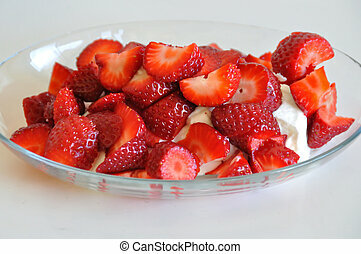 Fresh strawberries and yogurt dessert fruit background. 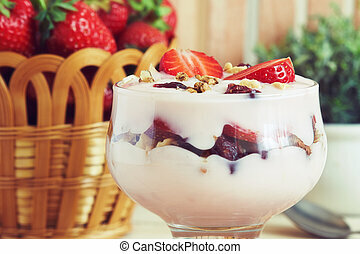 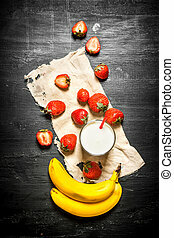 Dairy dessert with strawberries and banana. 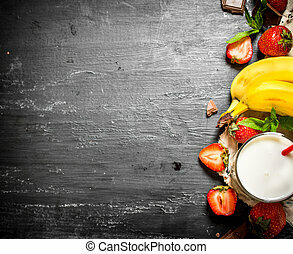 On the black wooden table. 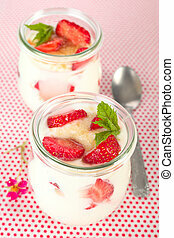 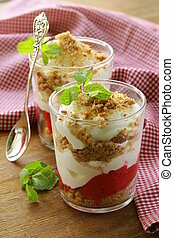 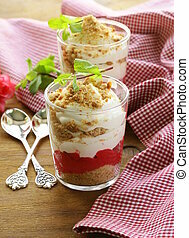 Summer dessert: fresh strawberries with yogurt and brown sugar in glass. 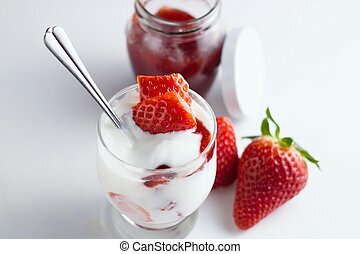 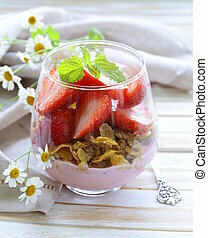 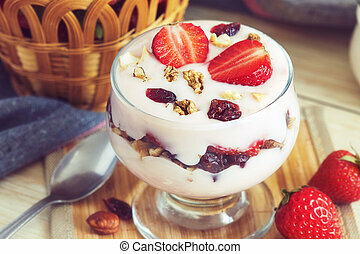 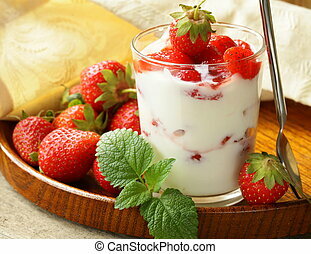 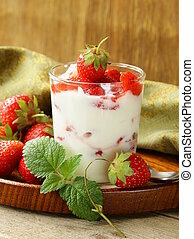 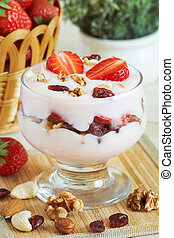 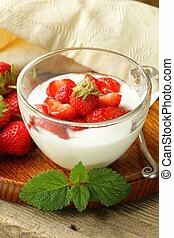 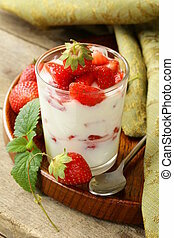 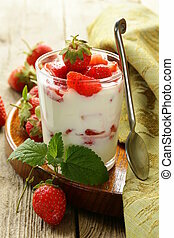 Healthy breakfast - Yogurt with strawberries.